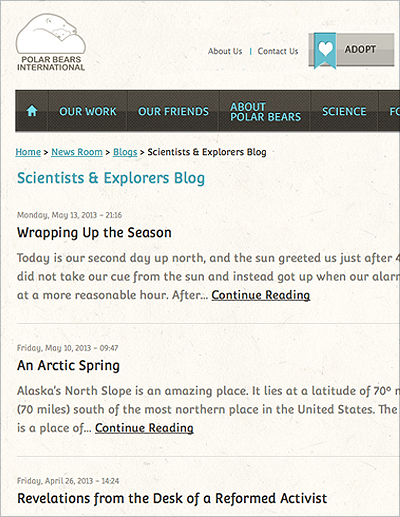 Introduction as it appeared on the PBI Scientists & Explorers Blog: The Arctic is not just the realm of the polar bear, it is also home to more than 40 separate groups of indigenous peoples, many of whom have inhabited the circumpolar region for thousands of years. Whether they are nomadic reindeer herders or hunters, gatherers or fishermen, they all share a common thread: their dependency on a healthy and sustainable environment. The traditional lifestyle of the native people is rooted in an intimate relationship with land and sea, and is the foundation of their culture. With the objective of broadening the scope of PBI’s mission, this area of interest will be a new addition to our blog page. In her entries about the indigenous peoples of the Far North, Moki Kokoris will describe their subsistence ways of life, and introduce aspects of their ideals, mythology, and traditional knowledge, all of which are integral to the future well-being of this vulnerable region and ultimately the entire planet.